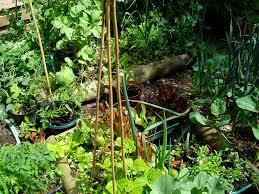 It is a hot summer day and the plants are waiting for you to water them. Duty-bound as you are, you have already got up, and are pulling the lines of rubber pipes that would carry life giving water to each of those trees and shrubs that you had lovingly planted. The strip of land that you had bought long back brings back memories of your youth. You had never known then that at one point of time you would come back to this very strip and grow plants in abundance, so much so, that the sun would need to take an appointment if he wanted to grace you with his sunshine. You wander among the bushes to do the final round of checks to see that these pipes have not got entangled and are laid properly and would not damage the fledgling bushes that you had taken so much care to bring up in the last few weeks. All looks proper as you survey the long network of pipes neatly laid out that would now start transporting the water as it gushed through them. You take the shovel in your hand to make the finishing touches for plants around their roots so that they could have more water as it would come in turns towards them. The wind is gently blowing carrying it with shades of warm and cool air, as it sifts through the dense network of branches and leaves. There are some sparrows on the ground chit chatting and waiting for you to turn on the motor so they could enjoy frolicking in the water that would present itself at any moment from now before them. A squirrel jumps just in time, as you make your way toward the shed that lodges the motor pump that would draw the water from the pond. In the olden days, you had to be alert as there were no pipes and then canals made out of the sand would do their job in assisting you with the gardening process. You had to be on the look out lest any of those sand canals would give away before your very eyes.